Exclusive! 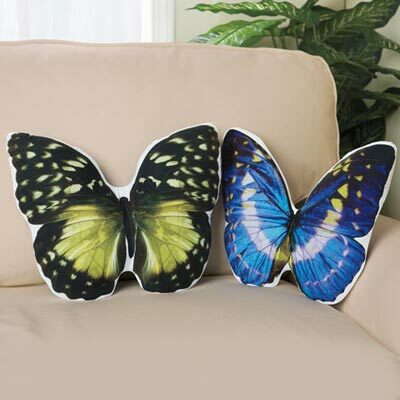 Charming, nature-inspired Beautiful Butterfly Pillows make the perfect accent piece in any room. Realistic design printed on a butterfly-shaped pillow for an artistic pop of colour and style. Polyester fill. Spot clean. Imported. Approx. 14"w.